GHost is back to host two nights of cult ghost and horror films for Camberwell Free Film Festival 2018. We return to our favorite venue, Jazz Live at the Crypt, located in the crypt of the Victorian gothic St Giles in Camberwell. The bar is open throughout the screening. This is a free screening, but seats are limited so arrive early to avoid disappointment. When a friendless old widow dies in the seaside town of Crythin, a young solicitor is sent by his firm to settle the estate. The lawyer finds the townspeople reluctant to talk about or go near the woman’s dreary home and no one will explain or even acknowledge the menacing woman in black he keeps seeing. Ignoring the towns-people’s cryptic warnings, he goes to the house where he discovers its horrible history and becomes ensnared in its even more horrible legacy. 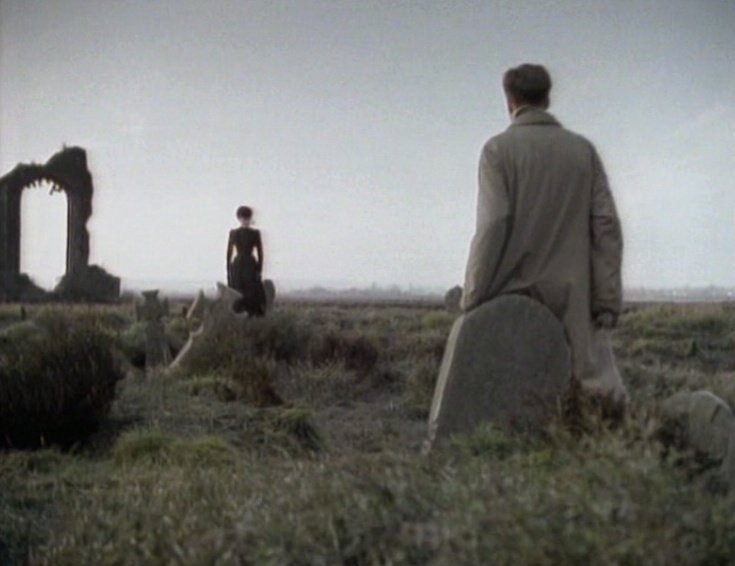 This Central Television production of The Woman In Black, adapted for TV by Nigel Neale from Susan Hill’s classic horror novella was broadcast on Christmas Eve in 1989 and repeated only once in 1994. However, the film is often held up as one of the most powerful and atmospherically spooky screen adaptations of a ghost story ever made. The film has been described by Reece Shearsmith as “the most terrifying programme I’ve ever seen”. There are some shocking, heart stopping moments which will embed themselves in your unconscious forevermore. ​One of the Weirdest Horror Films ever Made, Taryn Mccabe little White Lies. 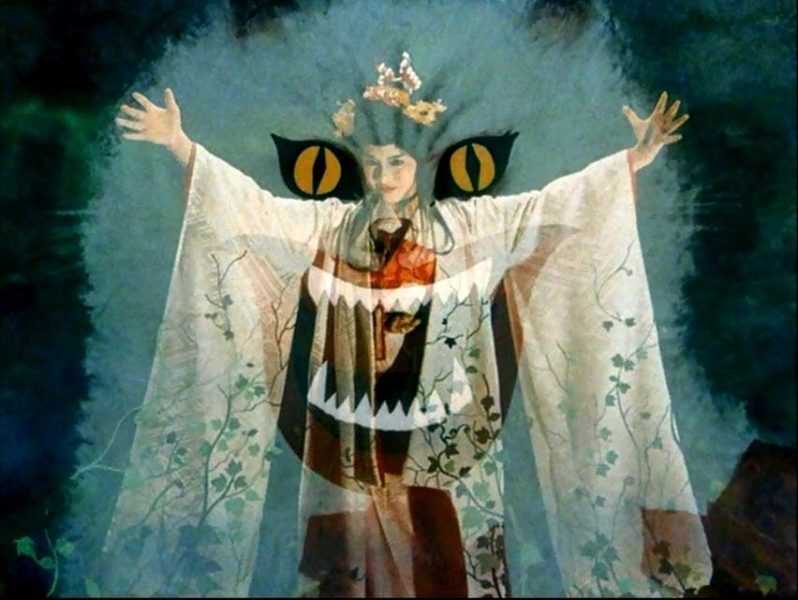 An unforgettable mixture of bubblegum teen melodrama and grisly phantasmagoria, Obayashi’s deranged fairy tale Hausu (House) is one of Japanese cinema’s wildest supernatural ventures and a truly startling debut feature. Adapted from an idea from Obayashi’s young daughter, the film looks like a psychedelic, nightmare version of a children’s ghost hunting adventure, but there are sophisticated undercurrents that hint at the dislocation in Japanese culture pre and post second world war.Distressed by her widowed father’s plans to remarry, Angel sets off with six of her schoolgirl friends in tow for a summer getaway in her aunt’s isolated mansion. But all is not well – in this house of dormant secrets and cobwebbed interiors long-held emotional traumas have terrifyingly physical embodiment and the girls will have to use all their individual talents if any are to survive.